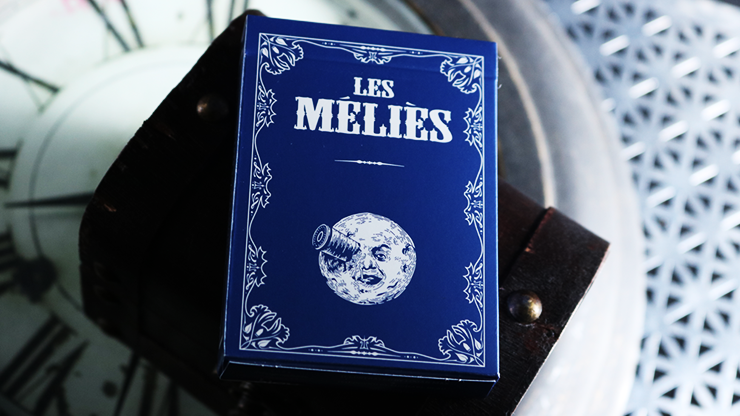 Les Méliès Conquest Blue Playing Cards pays homage to renowned French filmmaker and magician, George Méliès. Inspired by his classic film, A Trip to The Moon, Conquest Blue continues the Les Méliès playing card line that producer, Derek Mckee, first realized in 2013. This edition's color, royal blue, is simply gorgeous and utterly vibrant. Les Méliès has received continual praise and been deemed a modern classic. Proven to hold court with Tally Ho, Bee, and Bicycle, Les Méliès are, ultimately, a worthy addition to, an albeit, short list of timeless playing card designs. Printed by The United States Company, on crushed stock and Bee finish for optimal handling, this is a limited edition run of 4,000 decks. 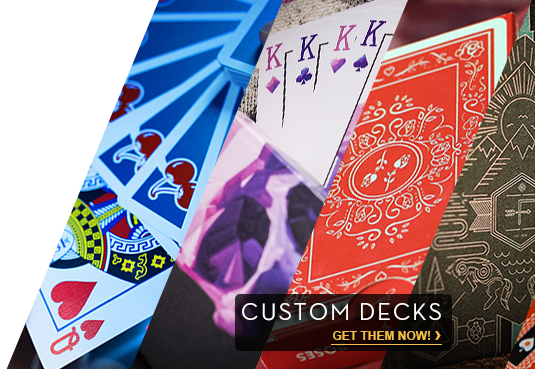 Designed and produced by Derek Mckee, with improvements made by Michael Blau, the deck features a custom back design, Ace of Spades and two Jokers.